Apple Corporation CO,.Ltd./Cosmetics Manufacture:APLS JAPAN CO,.Ltd. 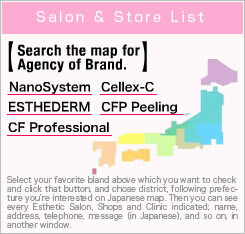 Note : ＊They are store brand of APLS JAPAN. NanoSystem is a registered trademark of APLS JAPAN. Presented by APLS JAPAN Co.,Ltd.